Hello Dollface! 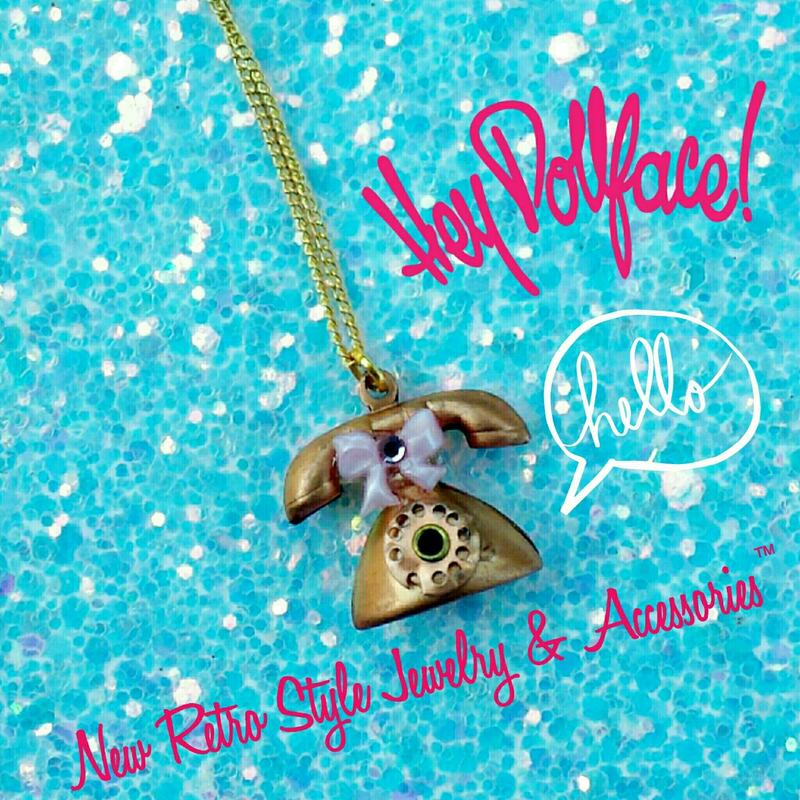 This adorable vintage charm of a retro phone has an added pink bow and crystal. It's on simple gold tone chain. My favorite part of this charm is the mini rotating dial, I play with mine all day! 16 inches, longer on request but chain may vary. Please message for exact international rates. Please note that Hey, Dollface! New Retro Style Jewelry & Accessories is a registered trademark and may not be used by others in any capacity.